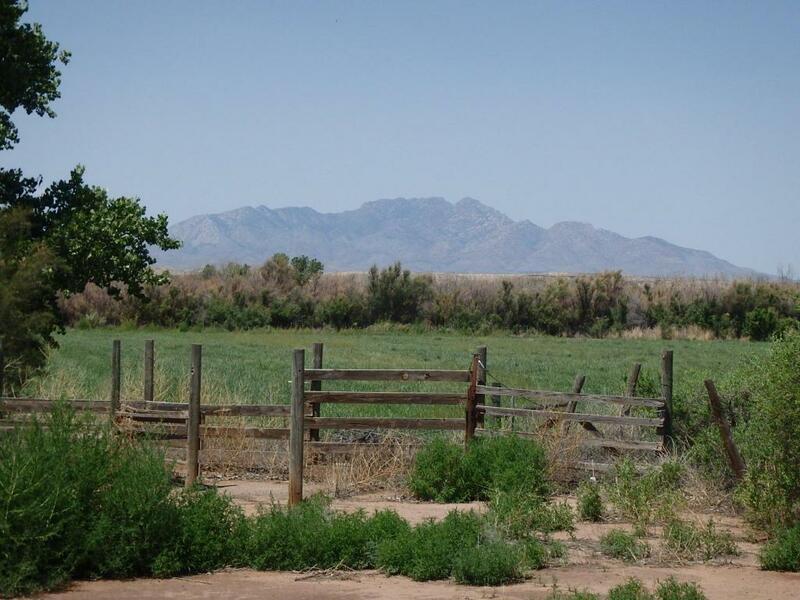 57 Acres of Irrigated Farm Land, Home, and Pre-1907 Water Rights of La Joya, NM. 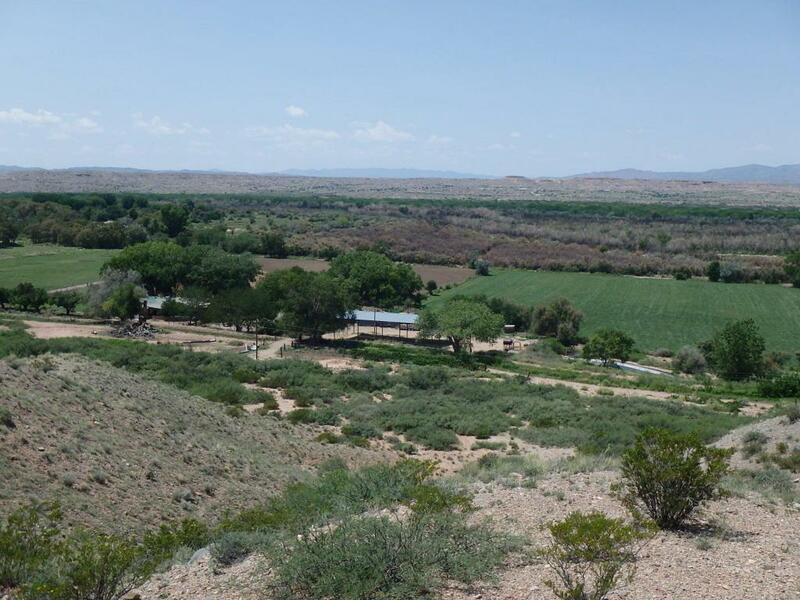 60 miles south of Albuquerque.COMMENTS: La Joya Farm is a family owned farm located in a beautiful farming community rich in local area history. 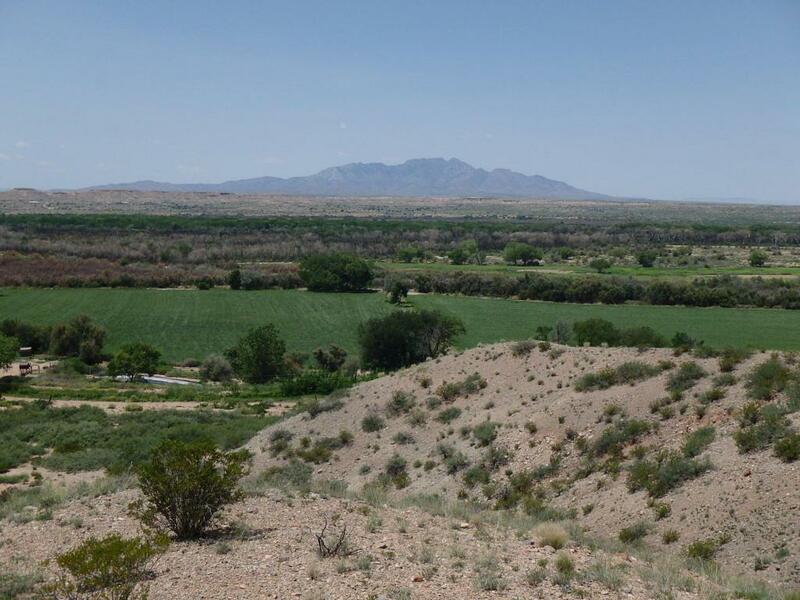 It has it all, the crops, the improvements, water, orchard, vineyard, and located not too far from the Metropolitan area of Albuquerque! Outstanding views of the distant Sierra Ladron Peak. The farm is currently planted in alfalfa, milo, and pasture grass. It is watered from the Acequia Madre de La Joya. 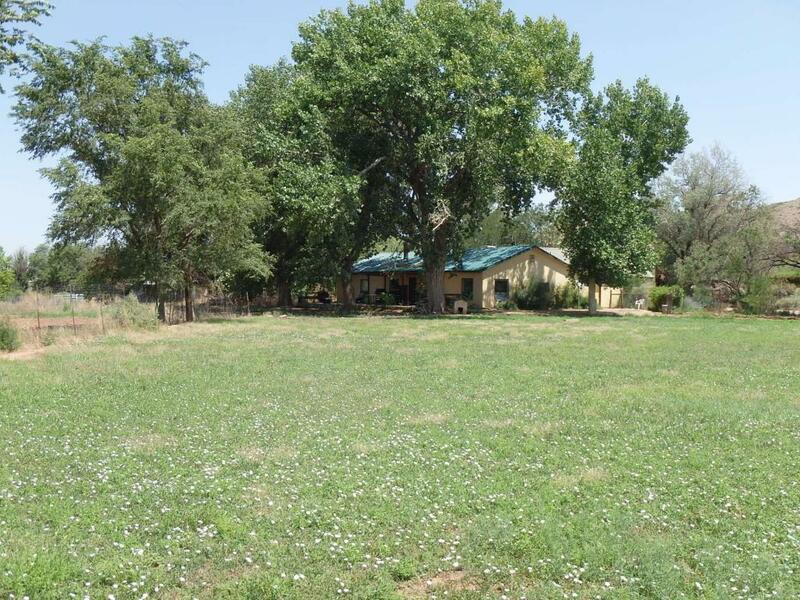 This is an excellent opportunity to own a farm in a historical part of New Mexico!IMPROVEMENTS: The main house is a 2,200 square foot country farm house with an open floor plan built in the 1960's. It has 3 bedrooms, 2.5 bathrooms, basement, two car garage, and front and back porches overlooking a large fenced yard. The construction is 2x6 frame on a slab with exterior stucco and metal roof. The house is heated by a passive solar system, electric base board heaters, fireplace, and wood stove. It is cooled by a swamp cooler. STUDIO/BUNKHOUSE: is 450 sf and has a one bedroom, bath, and kitchen. The owners could rent this studio/bunkhouse out for extra income. SHOP: is 450 sf heated by wood stove and has a bath and washer/dryer hookup. Attached to the studio and shop is a 450 sf garage. HAY BARN: 3,200 sf under the roof. There is a 25 by 90 corrugated steel livestock shed. WATER: Pre-1907 Declaration is on file with the New Mexico State Engineer. The farm has a backup irrigation well that is powered by electric. The residence has a 200 foot deep well with static water level at 12 feet and the estimated yield is 32 gallons per minute. ORCHARD: There is a red wine grape vineyard that is watered by a drip irrigation pond. There are also pear, apple, and pecan trees, ELEVATION: 4730 feet ANNUAL TAXES: The total taxes on this farm are $467.34. SCHOOLS: Nearest grade school is in Vegita 7 miles from the farm. Middle and high schools are in Belen, 26 miles away. HISTORY: La Joya De Sevilleta. Present day La Joya is located near the site of an ancient Piro Indian Pueblo that the Spanish named Nueva Sevilla, or Sevilleta. During the eighteenth century, this was the southernmost settlement along the Camino Real before travelers entered the despoblando, or uninhabited area, between here and El Paso del Norte. Every fall, caravans assembled here in preparation for this portion of the journey.